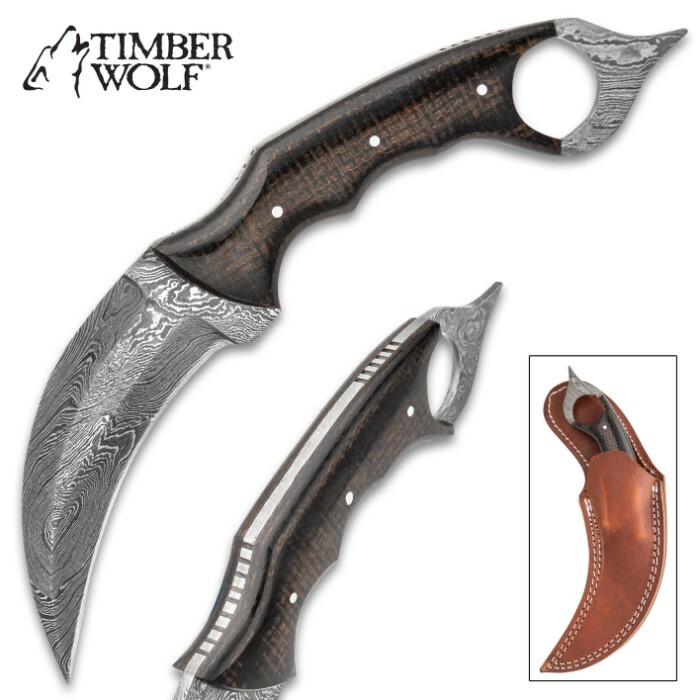 Timber Wolf Midnight Micarta Karambit Knife With Sheath - Damascus Steel Blade, Micarta Handle Scales - Length 9 1/4” | BUDK.com - Knives & Swords At The Lowest Prices! 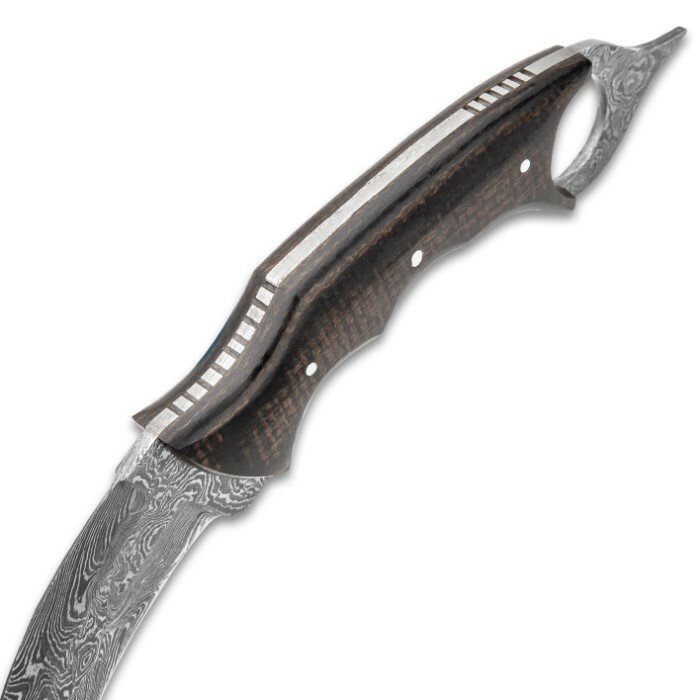 Originating in Indonesia, the karambit knife has truly stood the test of time, gaining status as a highly respected weapon and practical cutting tool. 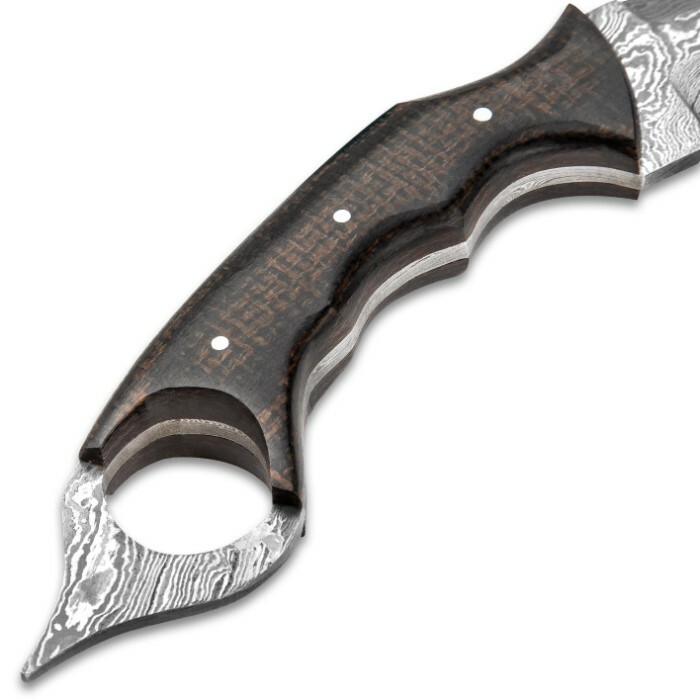 Our Timber Wolf Midnight Micarta Karambit Knife has a razor-sharp, wickedly curved, 4 1/2” full-tang, Damascus steel blade, which is offset by a sharp point on the pommel. The black Micarta handle scales are secured by three stainless steel pins and it features the traditional open-hole pommel. 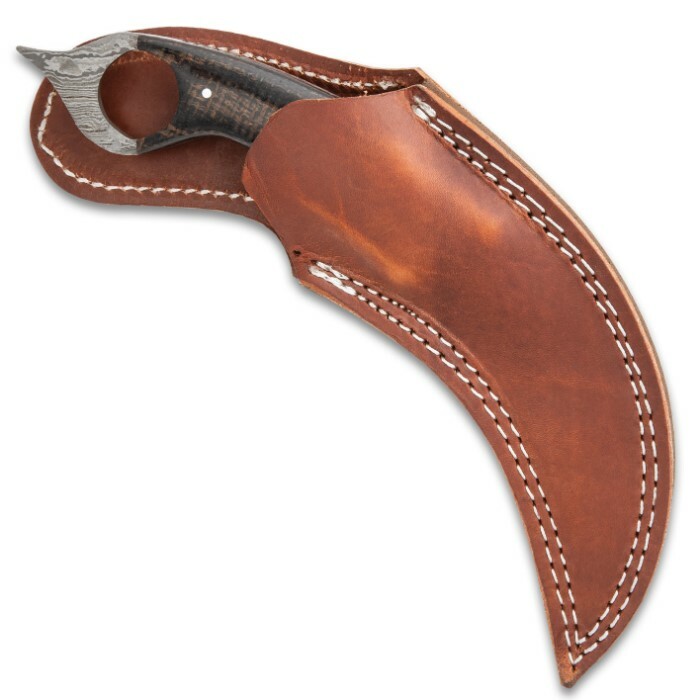 The karambit comes housed in a premium brown leather belt sheath with top-stitching and it is 9 1/4” in overall length. If you don’t own one of these respected, traditional knives, today is the day you remedy that! They come very sharp. Good balance and better than a fidget spinner. The tips are weak and bend easily. The sheaths are crap, ugly and uglier. So, overall, good looks, but questionable functionality. As of right now I returned mine for exchange because it had a bent tip. Otherwise it is a beautiful knife. Easy to hold and very light. Fits the hand very well. The handle is pretty long so it should fit all hand types. I highly recommend.